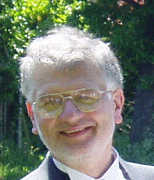 Eur Ing Alan F Cook BSc CEng CGeol CSci FIMMM FGS is a Geological consultant who has had numerous papers, reports and books published on geology, remote sensing, archaeology, local history, genealogy and topography. 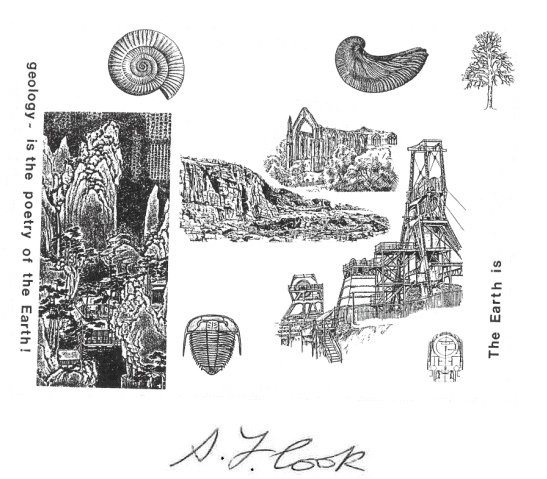 A key publication in relation to this website is Alan Cook’s “A revised geology, geography and history of WEDDINGTON, in the County of Warwick" (© Alan F Cook 1992, fully revised 2002). Much of the core information on this site is directly attributable to - and hopefully accurately credited to – Alan F Cook. Without Alan F Cook's commitment to Weddington's local history, this Website would not exist. Cited in "Geologists and the History of Geology", the International biography of geologists from the origins to 1984, by W. Sarjeant, Florida, U.S.A.
Senior geotechnical engineer, Maunsell consulting engineers, Birmingham; project work - UK’s first Combined Cycle Gas Turbine power station, desk study for the A46 Fosse Way improvements, engineering recommendations for the M62-M56 link crossing the Manchester Ship Canal, remedial works on the River Trent drainage and foundation engineering for Midland Links Motorway. Member of Nuneaton Society; 1994-2008 Nuneaton and North Warwickshire Family History Society and local Civic Trust's spokesman on planning and environmental conservation. Publishes “A geology, geography and history of WEDDINGTON, in the County of Warwick" (revised 2002). Contributed to television documentaries "Local Heroes" about John Barber, the Attleborough inventor of the gas turbine. Commissioned to write 4 biographies for the "New Oxford Dictionary of National Biography"
Author of chapter: Geographical context: Atherstone Manorial Records. Geotechnical Advisor for T A Millard on numerous Geo-environmental Phase I, II, III reports for housing developments. Consultant for Groundwork's Quarryman's Walk project. Archaeological investigations of Peat and other organic soils with special reference to the “Bosworth Battlefield site” for Austin / Jones - Friends of Atherstone Heritage. Geological engineer and site design engineer: for (Arup, Blackwell, Redrow, Merebrook) for Midland Quarry Reclamation and reinforced earth structure. Competition entry for UK Project with a value over £1M. Ground Engineering ceremony I.C.E. London, February 2009, one of the four finalists. I.C.E. West Midlands Project Awards 2009 – Geotechnical Award and Construction Award. Geological engineer and site design engineer for Midland Quarry Reclamation and reinforced earth structure. Professional advisor to HART project Atherstone. Advisor for Hinckley Archaeological Society projects. Technical Auditor and historical contributor for Heritage Lottery signs Abbey Green; Attleborough; Camp Hill; Griff; Stockingford and Weddington. Contractor's Responsible Engineer - Construction for Coventry to Nuneaton railway improvements VGC Group / Network Rail. Trustee for Warwickshire Geological Conservation Group and Conservation Committee for WGCG. Public Inquiry Expert Witness for Keresley eco-town objectors. Advisor for objectors to Ripon City Quarry, Littlethorpe. Judicial Review expert witness for objectors to Thornborough Henges quarrying. Advisor for objectors to Lenchwick Windfarm, near Alcester. Site Management Planner for Local Geological Sites (quarries) for DEFRA / ALSF / Natural England / Geology Trust and WGCG. Geological consultant for Charnia Research Group, University of Leicester, for North Quarry options study ‘Optioneering’ (option engineering) to prevent fossil theft. Charnia Research Group, Business Case for a dedicated education building / museum; to curate, display and conserve the unique Precambrian fossil assemblage of Ediacaran species of North Quarry. Geological consultant for objectors to Hallam proposed development at Weddington. Terrain Evaluation Consultant for Boudicca Project, Atherstone Civic Society / Heritage Lottery Fund. British Geological Survey, Building Research Establishment, Construction Industry Research and Information Association, Countryside Commission, Department of the Environment, English Heritage, English Nature, Geological Magazine, Highways Agency, India School of Mines, Institution of Electrical Engineers (Electronics), International Journal of Remote Sensing, Medieval Archaeology, Natural Environment Research Council, New Oxford Dictionary of National Biography and The Royal Society. 'The 12th Face of Ruth's Destiny'. Alan Cook is a long-standing resident of Weddington, who continues to champion the historical and archaeological integrity of the village. He is married to Jo-Anne and has three sons (all now married).